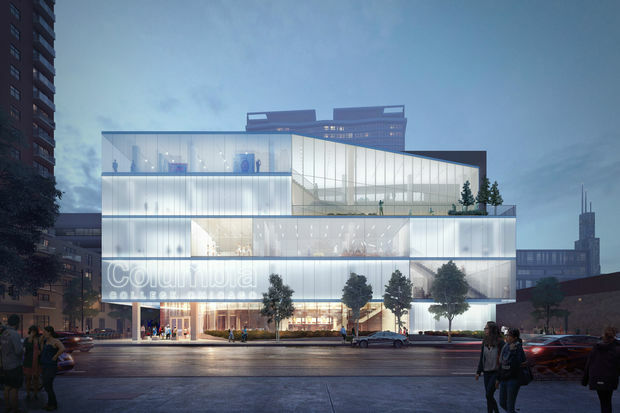 SOUTH LOOP — Columbia College Chicago is building a student center, the first in the school's nearly 130-year history. 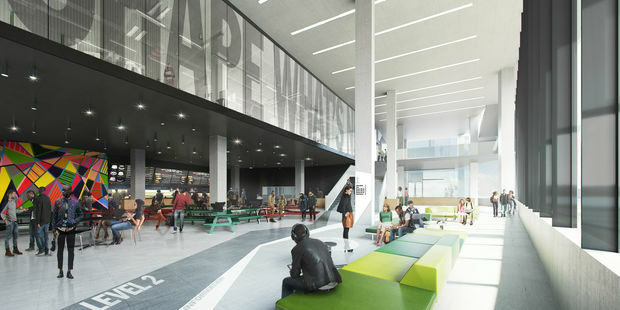 The Downtown school for the arts shared renderings of the new student center coming to 8th Street and Wabash Avenue in advance of a groundbreaking in October. The center is slated to open by late 2018. 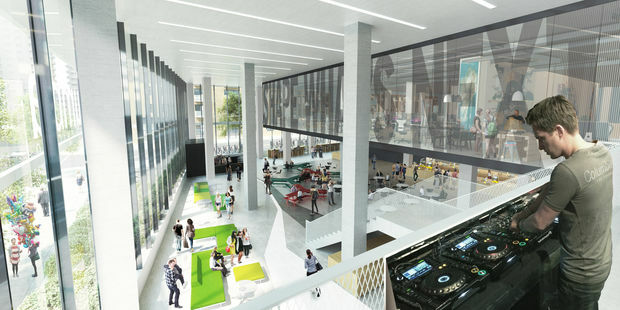 Once open, the five-story, 114,000-square-foot student center will serve as a hub at the center of Columbia' sprawling South Loop campus. Renderings show a "dining loft" as well as malleable space that can be used for dance studios, workshops or private events. Chicago-based Gensler designed the center. The student center's cost has yet to be determined, but preliminary estimates were around $50 million, said Cara Birch, a spokeswoman for Columbia. The center's sources of funding have also yet to be finalized, but the center will not divert proceeds from students' tuition payments, Birch said. Annual tuition at the private arts school is currently about $25,000. Columbia announced its plans for the center amid falling enrollment and speculation the school may begin selling real estate in the South Loop to compensate. Columbia currently owns 20 buildings Downtown. The school said in a statement it will host community meetings soon to answer questions about its plans for the new student center.